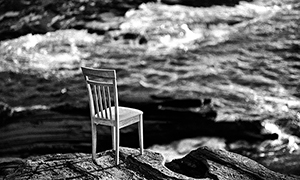 colin Barey has been kind enough to share with us his technique for stand developing black and white film. I had actually been hoping for something like this as I recently found a place in Japan that sells R09 One shot. Yippee! It’s been said repeatedly that developing black-and-white film yourself at home is much easier and cheaper than might be expected. 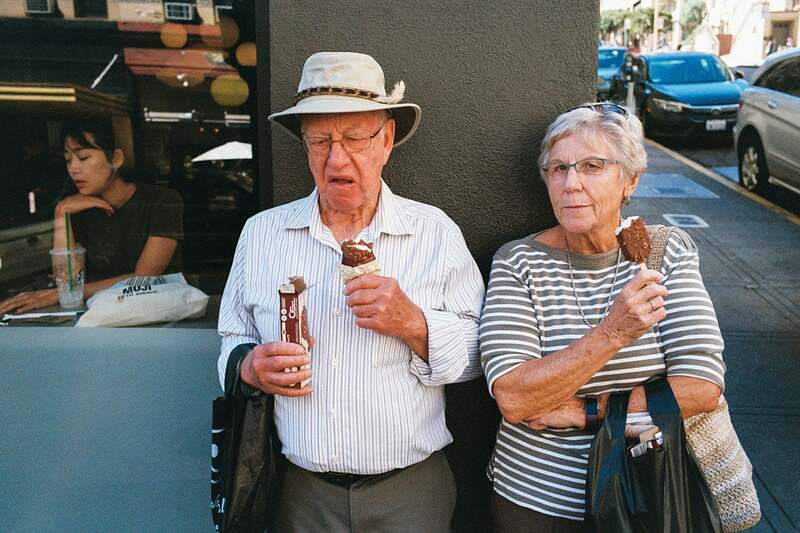 Most shooters seem to settle on one film and one developer and hone their skill in using them to razor sharpness. I’m not blessed with that degree of discipline and focus, so I’ve ended up shooting nearly everything and developing it in nearly everything. In the course of these kitchen chemistry experiments, I’ve come across some techniques and materials that are a little less conventional than standard D-76 processing. Sometimes you just can’t be bothered to stand there and watch an egg timer and agitate your film 10 or 15 times. No matter: if you’re willing to accept some compromises in terms of the materials you can use and how you use them, you can still achieve great results in Rodinal. Patented in 1891, Rodinal is one of the oldest film developers in the world. Formerly manufactured by now-defunct Agfa, it’s still produced by Agfa’s remnant company in Europe, Adox, under the name R09. Despite its impressive age this developer still has a lot going for it. For starters, it’s a liquid, so you don’t have to mix a minimum of a liter of it like you do with powdered developers. You only mix what you need. It’s a one-shot developer so you can’t reuse it, but it’s so concentrated and cheap that this is meaningless. Another of Rodinal’s charms is that its keeping properties are excellent. I’ve developed film with Rodinal from half-used bottles after they’ve been sitting on my shelf for nearly a year, and it still works. Finally, unlike HC-110, its dilutions make rational sense: 1+25, 1+50, and 1+100 are the most common. These are ratios you can do in your head, unlike Kodak’s tortured, mad hatter concoctions in defiance of all logic. The dilution I’ll be talking about is 1+100. In essence, you mix your Rodinal to this absurdly dilute concentration, put it in the development tank with your film, and leave for an hour. It doesn’t matter what films you develop, within the limits mentioned below. You can put ISO 400 film in the tank with ISO 50 film, and both will take 60 minutes to develop. Note the subtle lightening near the edge of the back of his jacket; this makes him look sharper and pops him out where he might otherwise have blended into the asphalt road. In this one, I’ve pushed Tri-X to ISO 3200 and stand developed it in Rodinal for a full 2 hours. The haloing is much more pronounced. It wouldn’t work on every shot, but it works here in my opinion. As you can see, the effect can either be very subtle or distractingly extreme, depending on the speed of the film used and the contrast of the scene among other factors. Faster films show pronounced haloing in very high contrast scenes, and hence I don’t recommend using Rodinal stand development on films with box speeds over ISO 200 if you’re shooting people in black suits against white concrete in mid-summer sun, for example. Another unique feature of Rodinal is that at these low concentrations, it’s not a solvent developer, meaning that it doesn’t alter the grain structure of the film during development, unlike D-76 or XTOL, for example. This means that films which are designed with specific solvent developers in mind (often called “t-grain” films, such as Kodak T-Max or Fuji Neopan, because of the shape of their silver halide crystals ) will look very different after stand development, and probably much grainier than you might expect. For this reason, I’ve found that it’s best to stick to “traditional” cubic grain emulsions like Kentmere 100, Fomapan 100 and 400, FP4+, SFX 200, HP5+ and Tri-X, unless a grainier effect is acceptable to you. If you shoot slow films at box speeds, this is the right process for you. If you’re constantly pushing T-Max 400 to 1600, it’s not. 1) Control the temperature. If the developer temperature isn’t stable for the whole 60 minutes, you will notice a pronounced and unattractive density gradient in the film. To prevent this, I make a 20C bath in a Styrofoam cooler with a water level just a little below that of the developer in the tank and immerse the tank in it during development. Even after as much as an hour, the temperature of this bath doesn’t drift more than a degree up or down regardless of the ambient temperature, as long as you keep the lid of the cooler closed. Pre-soak the film for 3-5 minutes to get the temperature of your tank and film to 20C, and remember that in hot weather, the tank and film are going to be much hotter than 20C, so you’re going to need to use water a few degrees under 20C. When it’s over 25C in my apartment, I pre-wash the film with water that’s at about 18C, because as soon as the water hits the tank and film, the temperature is going to rise by a couple of degrees at least; this is necessary when developing film in any developer in hot weather (with the exception of the one I describe in part 2). Put the tank in the bath and mix your Rodinal while you wait for the temperature to stabilize. 2) Use enough. 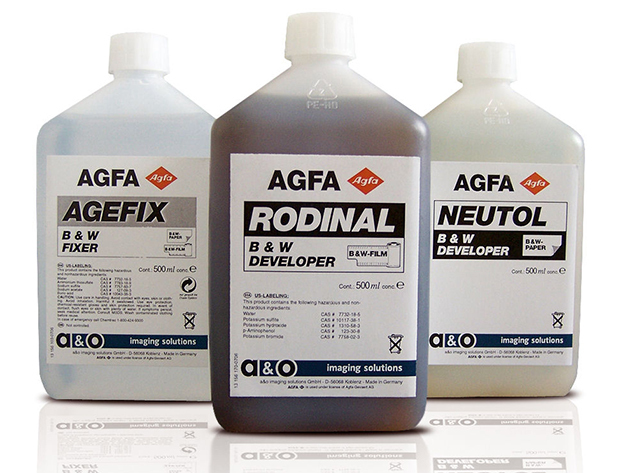 Agfa’s factory recommendation for stand development was that no less than 10 ml be used for each roll of film regardless of the concentration. This means that one roll of 35mm or 120 film would need a minimum of 1 liter of solution(! ); in practice I’ve found that 5 ml per roll is just fine. Any less than this and the developer may exhaust before the film is completely developed. 3) Agitate a lot early, then not at all. I agitate for a full minute at the beginning, then bang the heck out of the tank to ensure that any bubbles dislodge, then put the tank in the bath and go away. Any further agitation will disturb the halo effect described above. There is a lot of stuff on the internet about people inverting the tank once or twice during the hour, but I found that this was largely done in an effort to mitigate the density gradient which can be better tamed with proper temperature control. If your temperature is stable, you shouldn’t need to do this, and your results will be more interesting if you don’t. Rodinal stand development is a process that everyone ends up doing a little differently. Give it a try and you’re bound to create your own special methodology. It takes a while to nail it, but once you’ve got it, you’ve got it, and it gives your negatives a unique look that cannot be achieved in any other way. And hey, what other process allows you the time to eat dinner while it’s going on? 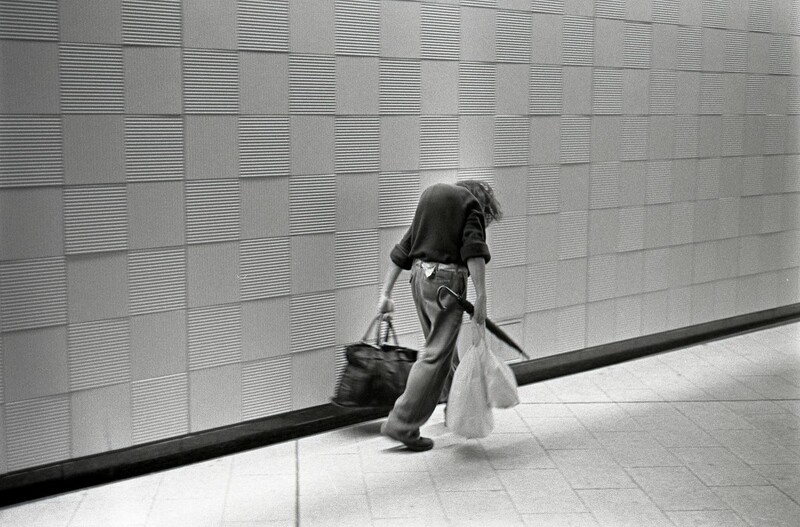 Colin Barey is a Tokyo based photographer with a passion for street photography. Thanks for this Colin, I shall be giving it a try. Film News! 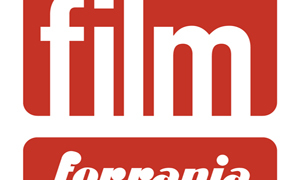 Ferrania is back! Exclusive interview! I live in a very hot and humid climate. I would like more information on how you maintain the water bath. How do you maintain the temperature of the bath? Using ice makes it too cold. I also tried ice packs. I can’t maintain a water bath temperature to try stand development. Heck, I have concerns about the temperature drifting when using my normal development process. Tokyo in the summer is about as hot as it gets. As I mentioned in the article, use a styrofoam cooler. Balance out the temperature in the styrofoam cooler using ice as needed and a good thermometer. Once you get the temperature to 20C, it will stay stable in the cooler with the lid on for at least an hour. The cooler I use is a larger one, so the water bath is quite large. This may lend additional stability to the temperature. Thanks for the reply. I think my problem is that the water bath is too small. I will attempt and use a much larger cooler and bath. Thanks. Thanks for a great-how-to article. If Bellamy’ll permit me to link it, I wrote a long technical article on stand development, comparing the results of various stand development times and also development by conventional means. Great article! Just wondering, is that the whole process? Or is a fixer still required? Sorry; after the developer step, proceed as normal. I sometimes don’t use an acid stop after stand development because the developer is so dilute and largely exhausted after an hour that water alone should suffice. Hi, there is always lots of contradictory statements regarding the lifespan of the R09, versus the original Rodinal recipe. Does the R09 turn brown when old, and do you only need to mix it for a few minutes to have it back to its original color and chemical strength? Can I keep a bottle of R09 forever? It seems to last effectively forever. It would be best to transfer it to smaller bottles as you use it, because I seem to end up throwing some away in the summer when it gets hot, evaporates into the overlarge space inside a mostly used bottle, dries and crystallizes. That said, I’ve used the dregs in these bottles with the same results that I’ve gotten with fresh stuff. I wouldn’t recommend it, but there you have it. Great post, thanks to Colin for this. I always though I should give it a try, with these instructions this is much clearer. Next up : black and white development for lazy and hurried people ? Well, I am looking forward to see what part 2 yields…. Diafine not only for lazy and hurried. My shooting the streets in dark scandinavian winter calls often for ISO 1600 . Diafine pushes TRI-X trouble free up there Times are not relevant, everything over 5 min goes and you cannot blow highlights and temperature can vary 5-6 degree. I set ISO at 1200 but even if you overexpose you still get the results. Awesome, thanks. I don’t remember seeing it at Yodobashi … Where can you find this in Tokyo ? I really do not like the “adjacency effect”. To me it is a sign of either inexperience or being lazy. I do not find it attractive at all. To eliminate it would not one simply have to gently agitate the film once in a while? How hard can that possibly be? BTW, I lived in the Tokyo metropolitan area for several years in the late ’60s so know how hot and humid it gets. But, the humidity in Tachikawa was nothing compared to another small area of Tokyo: Iwo Jima where I spent a couple days as a photojournalist. Currently I am using HC-110 dilution “H” (half of “B”) with 4×5 films such as Shanghai 100 and Arista.EDU 100. Both products need to be used immediately after diluting. I have found its best to stick with one developer and trial different film emulsions. Try the suggested dev procedure for any film first then stand development and compare. Nice article! I’m considering getting into home-dev because here in Brazil film is itself already expensive, never mind having it processed elsewhere. I own an Epson V700 so I think it’s worth my time to get into developing at home and then only have to spend on film, which I can have posted from Ireland now and then if my family obliges. My question is, have you ever tried home-made mix like ‘caffenol’? And if so, or if you are aware, how does it compare? It seems like a great, clean, cheap and mess-free alternative, but I keep wondering why more would not take this option unless of course the quality of the end result is not as good. Any ideas? I haven’t tried caffenol or any of the other homebrew options. There are so many commercially available chems still at very low prices, so I just haven’t seen the point. As you say, film is expensive, and I just haven’t been able to entrust my hard-won images to a pot of coffee or whatever yet. I may experiment with it in the future just to see what happens. Hi Colin. Nice article, I’m gonna try everything u said. I have friends in Europe that delivery chemistry to me. As graham said, here in brazil is not that simple to get hands in the things u need for a reasonable price. But my thing is temperature. In rio is over 30c 10 months of the year, and tap water is 28c. R09 is a great chemical for day to day developing. Great article. I like Rodinal; I love the various pyros, especially PMK Pyro and Pyrocat-HD. I use PMK Pyro with FP4+ most of the time. Excellent article, Colin. I can’t wait to start developing my film at home. I do have a few questions, though. I head that stand developing Tri-x often leads to it being very grainy. Does this always happen or is it just dependent on the process? Also, after the rodinal and the water for the stop bath, how much fixer do you use? Thanks so much for this article. Keep film alive. The graininess is a matter of taste. Rodinal is not a solvent developer, so it leaves the grain as it is; it doesn’t smooth anything out. I personally think Tri-X looks great in Rodinal; very regular grain, not unattractive. Your opinion may differ. As far as fixer goes, the normal amount. You probably don’t need to use an acid stop given how dilute the development chemical is though. we have only Rodinal fix in our film store in Telaviv and not always it exist there. i tried this technics with d-76 and not sure if i was too accurate with temperature also agitated the tank a few times as was said in explain that i read. i got very strong dirty line on the bottom side. thank you for this explain – i hope to try it again when i’ll find this dev. I used to use Rodinal a lot for dev’ing all sorts of B&W films including Tri-X, T-Max 100, 400, 3200, Ilford films and my personal favourite Kodak Tech-Pan. Just about every one got 1:50, 8 mins continuous agitation (I had a jobo drum rotator) with fantastic results. I tried 1:25 and 1:100 at 8 mins with the same results. For the Tech-Pan I’d rate it at 25 ASA and dev for 8 mins continuous at 1:150. The Rodinal went in colourless and came out like tar. There was no base fog discernible and the negatives looked vastly under-developed, but once you printed them they were the sharpest most detailed prints I’d seen. My friend found a half used bottle in his garage after 8 years, diluted it 1:50, 8mins with perfect results. By far the best developer I’ve ever used. I like the article, I have one comment. I do not believe temperature variation will cause a density gradient, it is an agitation problem in the first minute. If you have this problem experiment with your technique. I’ve only just started processing my own negs so will definitely be giving this a go. Thanks!! Don’t bother too much with temperature – unless it’s about 30 C or something like that :) And try 1+200 solution. You can easily leave a film soaking orvernight. But there’s a hint: as the solution is not too stable (either because Rodinal’s specific gravity is bigger than water’s and after few hours Rodinal starts falling to the bottom or because the solution starts oxidize) be sure that its amount over the reel is at least 5 centimeters. I tried it on 120 films in a tank where a reel is about 1 centimeter under the surface and after a night long soaking about 1 centimeter of the film (the upper- in the reel-edge) was undeveloped. Do you use regular tap water or purified water for diluting the Rodinal? Hello from Spain. 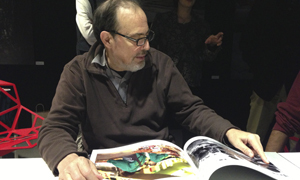 I am a new photographer and reveal my black and white reels at home, use enlarger to print my photographs on paper. Because the prices of this material and this method quite experiment with rodinal has given me the best results. WOJTEK …- said “be sure That amount over the reel is at Least 5 centimeters. I tried it on 120 films in a tank whre to reel is acerca 1 centimeter under the surface and after a night long soaking About one centimeter of the film (the Upper- in the reel-edge) was undeveloped “- is absolutely true and I checked. I am using Rodinal 1:100 50 min 1 inversion at 30 min FOMA 100. I am very stisfied with results and very comfy method. Thanks for clear, precise article. Is this true in your experience? Interesting article. Can Rodinal be used with color films?. b) it’s not used immediatelly after it’s poured as pouring means pumping masses of air into it – and oxygen oxidizes:) (again boiling solves the problem). On the other hand maybe I should give it a try – without boiling. About printing: again I’m too lazy and impatient for that (not to mention about my two boys who always have to know what daddy’s doing in the bath with all that stuff), so my experiences are very limited but indeed contrast of negatives developed in extremely thin solutions may need high contrast paper. But still I would not call such negatives as strictly low contrast ones – it’s more like very continuous-tone image. … so you process the film @ 20ºC … but what temperature is your stopper, fix, and especially your washing water … meaning: how do you finish your film … I guess that must happen at much higher temperatures ??? … P.S. my tab water temp here get’s up to 28º C – Many thanks !!! About color development: sure, you can develop color films with Rodinal! But don’t expect anything better than a grainy photocopy of a bad scan of a crappy printout:) Personally, I did it twice and each time mistakenly. Once it was Rollei slide (CR200?) developed in HC-110 (Rollei should really diversify paper in their 120 films) and the other time it was something from Fuji and even maybe Rodinal. I’m really lazy and my solution is ambient temperature:) I keep a 5 liter canister of demineralized water in my bathroom (used for developer, fixer and wetting agent solutions) so I only have to match temperature of tap water (used for rinsing) which is quite easy with a thermostatic mixer. Depending on season my basic temperature ranges from 21 to 24 Celsius degrees, however in summer it could be over 25 degrees and then I rather don’t develop as development times are getting too short for my taste (my main developer is HC-110, sometimes substituted by Rodinal 1+25 or 1+50). Of course, not always my process is free of mistakes and rinsing water can be colder or warmer than the rest of baths – even by 3 degrees – but as I use hardening fixer nothing bad happens to emulsion (or happened as yet). This is the best article I’ve read on stand development. I am a big fan for Parodinal (homebrew Rodinal) that I’ve been using for a year or so. But I’ve never done that in stand development. There are lots of recipes for Parodinal, using Acetaminophen capsules, sold in common drugstores. Thanks for the article. hi, thank you for sharing. i’v also tried a few times using stand dev with fomapan 400 in r09 1:100, 3.5ml/ 135 roll, 2 hours stood. 1st min agitate, then agitate at every 30min block. however, i always got vertical streaks alongside a frame. i am thinking if i need to agitate more next time or shorten the development time. Hello all, great article and follow on! I used Rodinal 40 years ago with great success but lately l have been on a direct positive process kick with negative film. 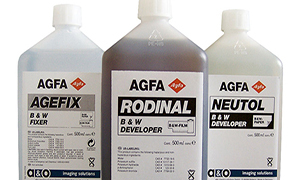 Have any of you experimenters out there found any utility with Rodinal in a positive transparency process? About the”too powerful halo effect”, if you don`t like it, just tip the can at 30 minute mark. Hello. Great article. I back into shooting film a few years ago and thought I’d give stand developing a try. Picked up a bottle of ADOX Rodinal but on the back noticed it says, “Contains Disodium Disulphite. Suspected of causing genetic defects.” I did a bit of research, and Disodium Disulphite seems more or less harmless. However, it contains p-aminophenol. Anything “phenol” does have the possibility of being harmful to DNA. So, my question is, does anyone know the dangers or health effects of Rodinal? Is it safe to use? It seems it’s been in use for a looooong time, and there are lots of RODINAL how-to’s, but no one really mentions the safety aspects. Is this something we should be concerned about? Thanks. Great article, thank you. I used to work in a b/wlab in Soho, and we did stand developing for lots of clients. I used a temperature stabilised water bath to put the steel tanks in while developing, and to avoid bromide drag effects, I laid the tank on its side, so that the drag, if any went down the length of the like rather than from one edge to the other, if you get my drift. To avoid the minimum quantity of concentrate issue, I used 120 size tanks for 35mm spirals and used an empty reel as a spacer.